Hypnagogic Hallucinations - Things That Go Bump In The Night! Do strange images of geometric shapes, people or animals appear out of nowhere as you lie in bed at night? Perhaps you’ve heard voices or noises which can’t possibly be real? If so, it could be that you’ve experienced what’s known as sleep hallucinations. Despite leading to the occasional leap out of bed in sheer terror, they are usually harmless. And many people experience them at some point in their lives – including me. As a child, multicolored geometric shapes would regularly swoop across my bedroom, just as I thought I was drifting off to sleep. I remember simultaneously marveling at them and wishing them away so I could sleep in peace. It doesn’t happen so often nowadays, but once in a while, I’m still prone to my mathematical manifestations. Perhaps I should be grateful for my geeky hallucinations – especially compared to the disturbing experiences some people have. 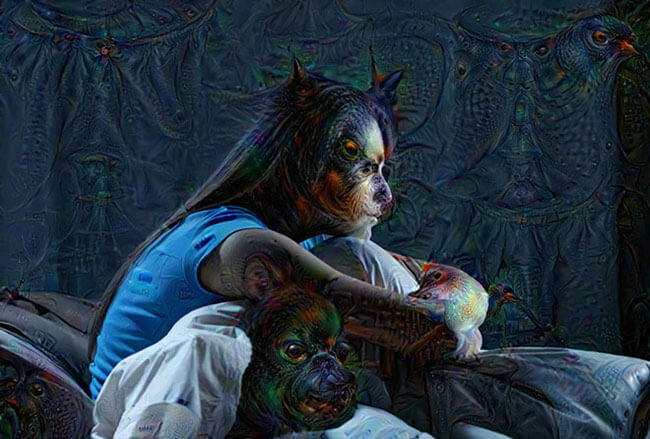 Sleep hallucinations are imaginary experiences that happen during the transition between being awake and asleep, and can feel confusingly real. 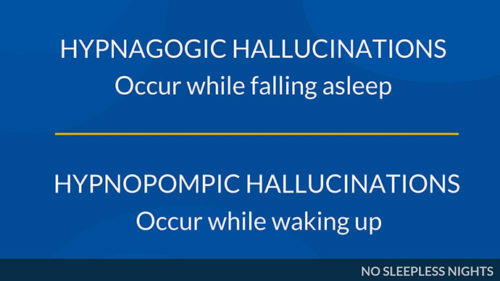 They are also referred to as hypnagogic hallucinations if they occur while you’re falling asleep, or hypnopompic hallucinations if they happen while waking up. The hallucinations are usually visual, such as seeing shapes or figures in the dark. But they can also involve your other senses. The hallucinations can be vivid and frightening in some cases. If you see a giant creature in your room or hear a scary voice, it’s understandable that some people will jump out of bed and turn the light on to check what’s going on! How many people have sleep hallucinations? A commonly quoted statistic in medical articles comes from research conducted in 1996. The team interviewed 4972 people in the United Kingdom by telephone. They found that 37% had experienced hypnagogic hallucinations. And 12.5% had experienced hypnopompic hallucinations. In 2000, another team of researchers surveyed 13,057 people and found that 38.7% had experienced hallucinations at some point during the day or night. 24.8% of the sample had experienced hallucinations at sleep onset, and 6.6% upon waking. If you have these symptoms, it’s important to seek medical advice. The main symptom is imagining events while falling asleep or waking up that are not real. Researchers believe that the most common type of hallucination is visual. Visual – such as geometric patterns, shapes or light flashing. Sometimes complex forms like animals or people. Auditory – voices talking, phone or doorbell ringing, music, hissing, humming or whistling. Olfactory – pleasant or unpleasant smells. Tactile – insects crawling on the skin, rubbing, stroking, tapping or tickling sensations. Perhaps also feeling weightless, distortions in the body, flying. Telling the difference between dreaming and hallucinating isn’t always obvious in the moment. But sleep hallucinations are not the same as nightmares. When you wake up from a nightmare, you’ll know you were asleep (even if it takes a little while to come back to reality). Sleep hallucinations, however, can feel like they are really happening. You know you’re awake, but you’re not convinced it’s merely your imagination playing tricks on you. Sleep hallucinations sometimes happen during an episode of sleep paralysis. During sleep paralysis, you might be unable to move your body in bed, which in itself is often frightening. The hallucinations that accompany it can range from seeing a presence in the room to seeing and feeling a creature sitting on you. An intrusion of dream imagery onto wakefulness. A lack of stimulus leading to the visual cortex in the brain creating images. According to the American Academy of Sleep Medicine, they are more common in children and young adults. Women might experience them slightly more often than men. If you’re experiencing anxiety or losing sleep because of regular sleep hallucinations, it’s a good idea to speak to a doctor or sleep specialist. They would ask you about your hallucinations and look at your medical history and other factors like medication and lifestyle. They might decide that an overnight sleep study is needed to find out more. They would also look at the possibility of another condition causing the episodes. And if they find one, give you the appropriate treatment. What can you do to help reduce them? Get an adequate amount of sleep every night. Try to stick to a regular sleep schedule and don’t allow yourself to become sleep deprived. Try to reduce your stress levels. Try using a soft night light in the bedroom. This might help fill the space that your brain uses as a blank canvas. If you tend to hear sounds that are not real, perhaps listening to music or the radio at night will help. If you find yourself focusing on visual hallucinations, try to re-focus your mind on something else. Breathing exercises or muscle relaxation can keep your brain occupied. If it’s overwhelming, turn on a light and get up for a while, do an activity you find relaxing and then try to sleep again after 10-15 minutes. Several readers have said in the comments below that wearing a sleep mask helps them. Generally though, you can see that hypnagogic and hypnopompic hallucinations are a normal part of life for many people. Once you’ve ruled out any serious illness or disorder, you’re left to deal with the experience in two ways. First, try to adapt your lifestyle to make sure you do everything possible to sleep well. Second, relax and try not to worry about things that go bump in the night. Do you ever experience hallucinations when falling asleep or waking up? What form do they take? Feel free to describe your experience in the comments below and share any ideas you have about dealing with them. I mainly see a figure of a tall woman standing with long hair in my bedroom corner. Every time I look away, she’ll move, and a small child walks up and down my room muttering and crying – it’s creepy. But every now and again at night, I see a spider in front of my face (I’m not afraid of them but who wants that) and hands appear in front of my face too. Well it’s true my dreams are vivid. I take naps and sometimes like in 3 minutes or so someone calls my name, or I hear kids playing or laughing and I would open my eyes but there is nothing happening in my room. Then heard like a man shouting and i would feel the vibration on my right ear very close. One strange thing is that if someone was choking me and evidently appeared marks on my neck but I mean there’s nothing in my room. I used to see like a misty black smoke moving like snake near my bed. What could this be? Or called? Hello from UK, I suffer from seeing spiders crawling across bed or curtains just as I’m falling asleep. I have seen shadows standing in room and I’m convinced its real! I have had floating shapes above my head last night. I was so tired as well. If I wake for the loo I often see objects then they fade away. It doesn’t happen if I sleep away or on hols. Nor when my BF is here. Weird! I keep waking up and either a man or a woman are standing by my bed. I don’t know them, it only last a second and they are gone. It doesn’t happen every night as it is very frightening and I want to know how can I stop it? Today, i had tried to wake up and my eyes were half open, but my friend was sitting in my chair but her face began to distort and as scary as her face was, she was talking very loudly and vividly, none of what she was saying was making sense to me, but it was very clear she was speaking English, at this point I knew i was having a weird kind of sleep paralysis because i forced myself to completely open my eyes and awaken, by then she disappeared from me my chair and was never really there. I see geometric patterns on walls in the dark. Also, I see something like a bush floating toward me – it stops over me and I can see little leaves. I’ve also seen people that look like old camera negatives. I’ve had huge things like clouds or pillows moving toward me. Once I watched as the leaf patterns turned into a huge bouquet of flowers. Sometimes I see animals moving. Often in the morning, I hear someone calling me. Yikes. There have been several times I have seen things. The first thing I really remember is that I am looking at my window in the night and the reflection starting to change into three knights that’s looking out another window. I see their backs. All in black and white like an old movie. I look at them for several minutes. Another time it is a knight that’s floating towards me in my room like a ghost, I am sitting in my bed and looking at him and then he turns at the end of my bed and floats into the wall and disappears. At the same time I have glowing red flames on my fingertips that moves with my hand. Very interesting feeling. One really creepy one is that I seeing death standing behind my mum when she talking to me from the opening of the door. I was a bit paranoid after that. Thought it was an omen or something. I have seen very clear images of peoples faces moving quickly towards me and disappear, mostly when I have my eyes shut and trying to sleep. There have been no one I know. The most recently have been red glowing lines on the walls in my room. They are not squibbly but like a network of cords. Almost like a data chip. There can have been one more that I’m unsure about. I was sitting and reading in my bed when I suddenly feel a hand on my shoulder. In response i look up and turn my head toward my right side and the only thing I see is a white wall. The hand felt so real and i can still remember how it felt after 10 years. That’s the ones I remember. I have just awoken to find myself screaming at the top of my lungs petrified thinking someone was in the house. I remember seeing red shorts. I have woken up screaming every now and again seeing actual figures or people or simply just convinced someone is in the room since I was 18 years old. I am now 26… and now while shaken up seeking help late at night and have come across this site. My partner works away and being alone and having such clear and terrifying experience like that I burst out crying. Searching the house with a weapon In case it wasn’t just another dream but was real.. I feel like I’m going insane. Sometimes I see people clear as day standing in the corner of my room or in the hallway. But I always wake myself up screaming and my partner if he is here. Or I’ll yell “get out”. Sometimes I don’t even remember what happened when my partner tells me in the morning. I don’t know what to do. They are so completely terrifying and real. This time however has really shaken me. The last few years (ever since I moved to NYC and have dealt with my first cockroaches– starting at age 24) I’ve had these hallucinations. Sometimes I go weeks to months without experiencing them, and then this week I’ve had them multiple nights in a row and it wakes me up multiple times that night. Its usually where I open my eyes for a second and I see and feel a giant hairy spider, a cockroach, or even a snake crawling on me. I scream, bolt upright, turn on my lamp and search my bed frantically for it. It’s so real and it takes me about 30 seconds to several minutes to calm down and climb back into bed. I just hate it so much. I could definitely see these jump scares giving me a heart attack when I get older. I’ve never searched for an explanation before, but now I’m feeling quite nervous knowing that it’s often associated with schizophrenia. Is it important to see a doctor about it? Even though it’s not all the time? 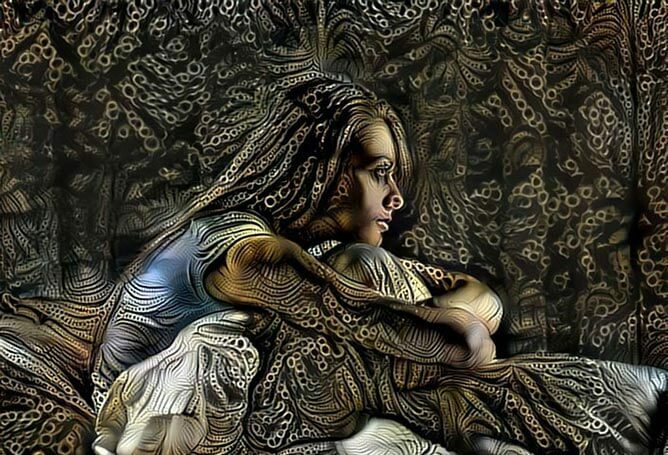 I’ve had plenty of fractal pattern visions, and once I had a photographic vision of a face (after work overload for 1 week). luckily I didn’t panic, I actually thought it was an incredible experience. I also had exploding head syndrome, often after work overload. happy people are sharing info on this, so we can know just what these things are and what causes it. if you have these visions then it is a strong indication that you should reduce your stress level, and get back into a regular sleep pattern. I have been having these “hypnagogic hallucinations” since I was a young child, I called them night terrors. I am 26 now. The first time, I saw the geometric shapes moving on the blankets when I was running a high fever, trying to fall asleep around the age of 7 or so. I slept in my mom’s bed that night and told her what I saw as it was happening. She claimed that my father was schizophrenic so she worried that I may end up with it as well if I wasn’t careful. I never had schizophrenic symptoms but I have experienced several unexplained occurrences while I was awake over the years. About 10 years later, I gave birth to my son. When he was a few months old, and he slept in my bed along with his father, I suddenly woke up to huge spiders in my ceiling corner and I picked up my son instantly and ran to turn to the lights on the opposite side of the room which revealed that nothing was there. What I have seen, usually 20-30 minutes after I fall asleep, most often over the years are huge black spiders and more recently clear spiders, spider webs, a small alien right next to my bed looking at me, a small sea urchin and orbs. 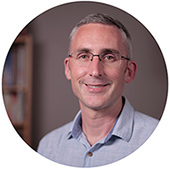 For a year or so, I would see demonic creatures in the corner of my room which prompted to me injure myself by bruising my knee by scrambling over my footboard trying to get to the light to turn it on to reveal what is really there; nothing. I instantly go into fight or flight mode when this happens and it takes me a while to calm down from it. I have a huge rug burn scar on my elbow from falling while running from one of these hallucinations from many years ago. It is exhausting, terrifying and frustrating and it has happened 3 times last night within 30 minutes or so. I am going to sleep with the lights on indefinitely. I am slightly relieved to hear so many people having these same types of experiences yet it is ultimately unsettling. I have been struggling with ptsd, extreme anxiety and depression for a long time due to unrelated events. I have bad dreams constantly, intense night sweating, and I also eat food uncontrollably while I sleep. It has been happening so often lately as I have recently rededicated myself to my father in heaven, God. I truly believe that it is a spiritual battle as if Satan does not want to let me go without making me suffer more than I did when I was a proud atheist. REM Sleep Behavior Disorder: Do You Act Out Your Dreams? Sleepwalking – What Causes It And What Should You Do?